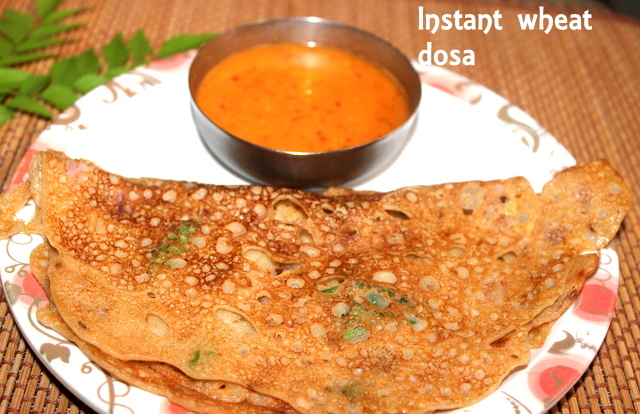 Wheat dosa is another instant version of dosa made with wheat flour. 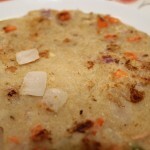 Also called as godhuma (means wheat) dosa in Tamil Nadu, it is a popular south indian breakfast dish, which is not only simple but easy to make too. 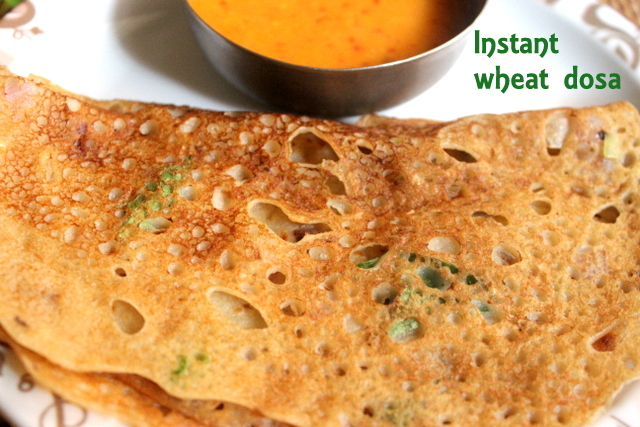 Wheat dosa makes up for a healthy evening snack or light dinner too. 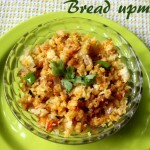 It goes well with coconut chutney, tomato chutney or sambar. 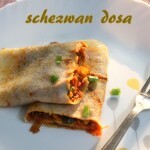 Do try this crispy and flavourful dosa for a change and enjoy..
Take a large bowl. 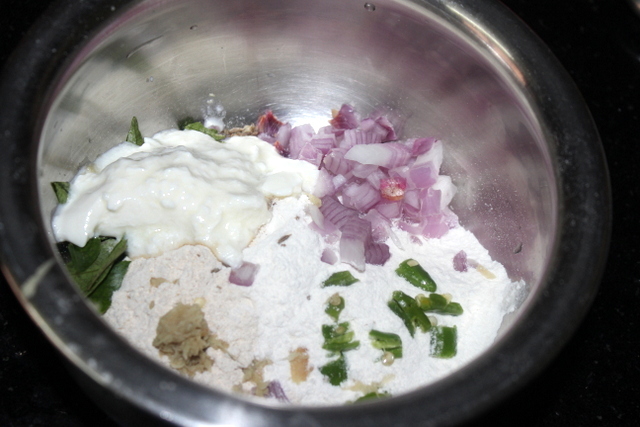 Add wheat flour, rice flour, curd, green chilli, onion, ginger, cumin seeds and salt. Mix well. Add water little by little and combine together. Mix well till you get a nice smooth and thin batter consistency. Ensure there are no lumps in the batter. The batter should not be thick too. 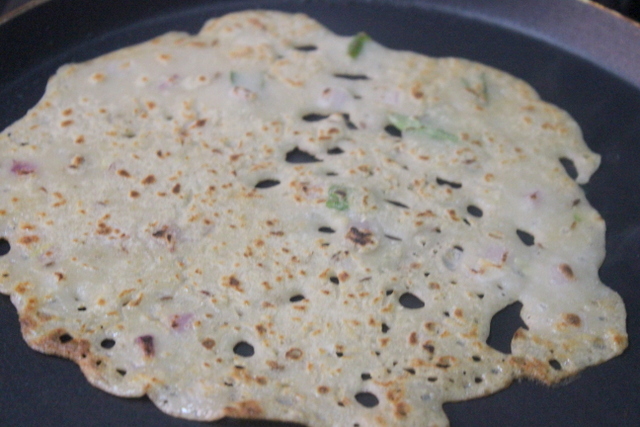 Heat a non-stick tawa or dosa pan on medium flame. 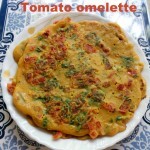 When the tawa becomes hot, pour a ladle of dosa batter from the outside of the tawa to the inner side, filling in gaps if any. 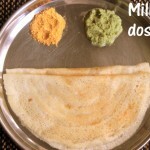 You cannot spread this batter like regular dosa, as there should be small holes in the dosa, similar to rava dosa. 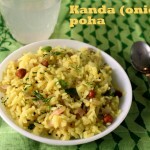 Put 1 tsp of oil on the top and around the dosa and cook for a minute on a medium flame. 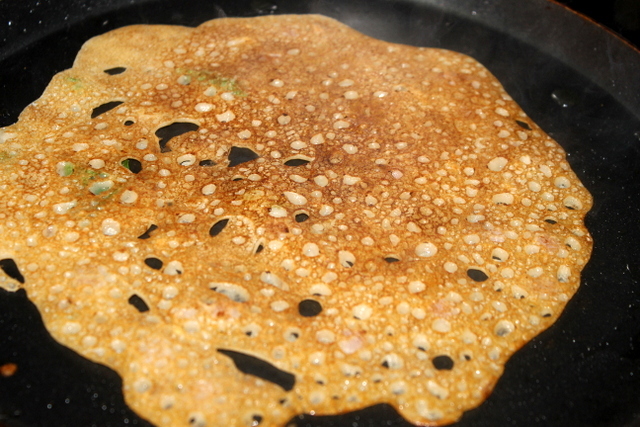 Once the dosa turns golden and crisp, flip on the other side and cook for half a minute. 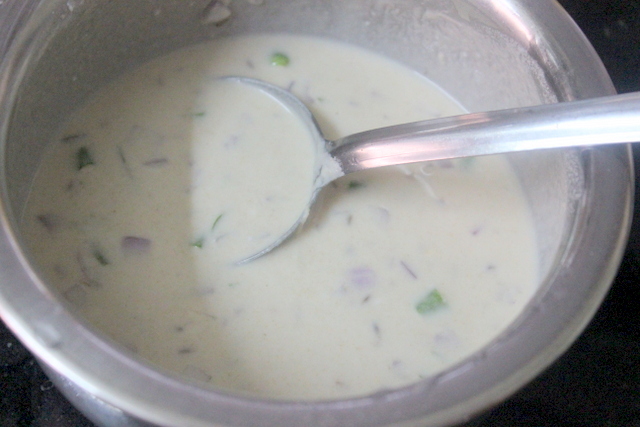 Continue with the same method for the remaining batter. 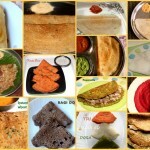 Serve wheat dosa hot with sambar or coconut chutney. 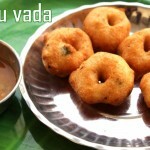 You can also use buttermilk instead of curd. 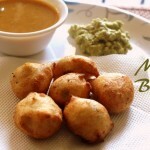 You can temper or season the batter with mustard seeds, urad dal, cumin seeds and curry leaves. 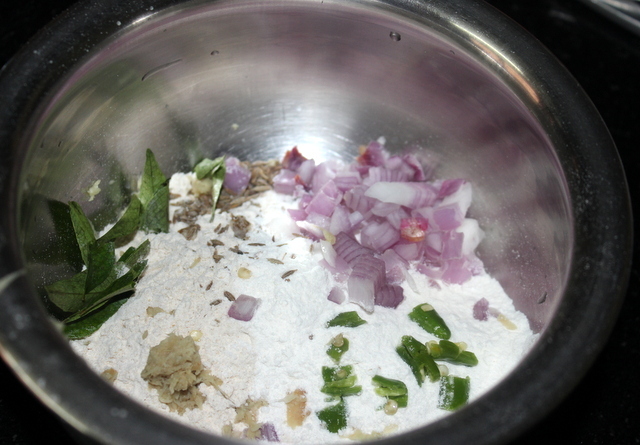 Add chopped coriander leaves for that extra flavour to the dosa. 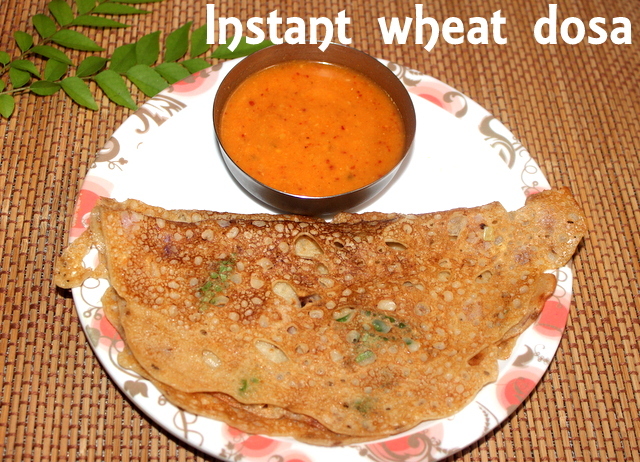 Wheat dosa is best served hot or warm. Ensure to heat tawa on medium flame for even cooking of dosas. 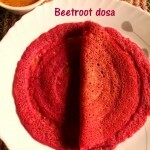 If cooked on high flame, dosas gets dark in colour and remains partially uncooked.